Mr Ernie Dingo and Ms Leonie Boddington, our Aboriginal Liaison Officer, under one of the ASKAP antennas at the Murchison Radio-astronomy Observatory. 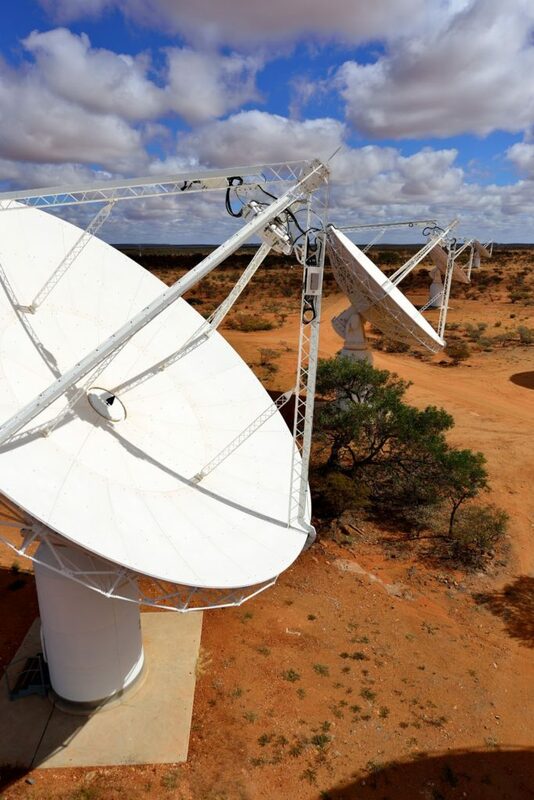 We searched far and wide for a place in Australia to build a world class radio astronomy observatory. The location had to be remote and far from man-made radio interference, to ensure quietness for these instruments to detect radio waves travelling from billions of light years away. It also needed to be somewhere relatively accessible for construction and observatory management. We found the perfect spot in the Murchison area of Western Australia, 700 kilometres northeast of Perth and in traditional Wajarri Yamatji country. 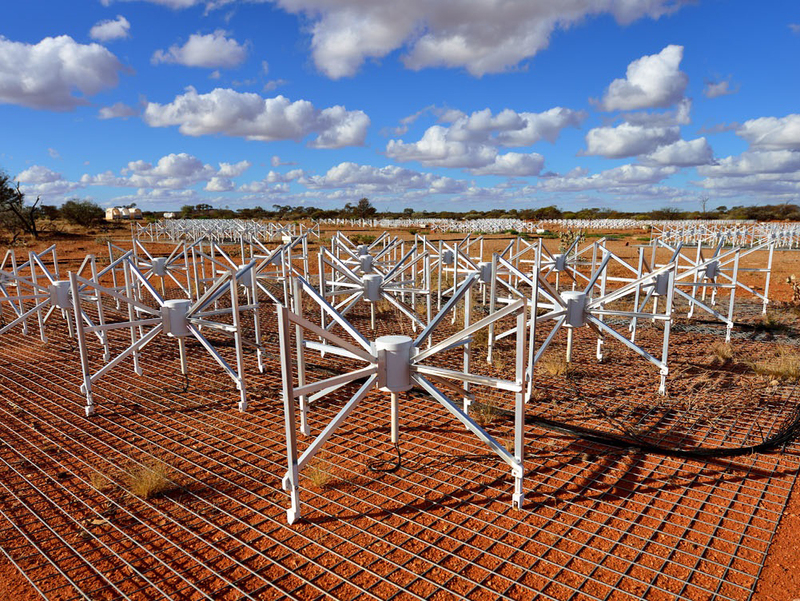 It’s now home to our new Australian Square Kilometre Array Pathfinder telescope (ASKAP) and the Murchison Widefield Array telescope (MWA) led by Curtin University. 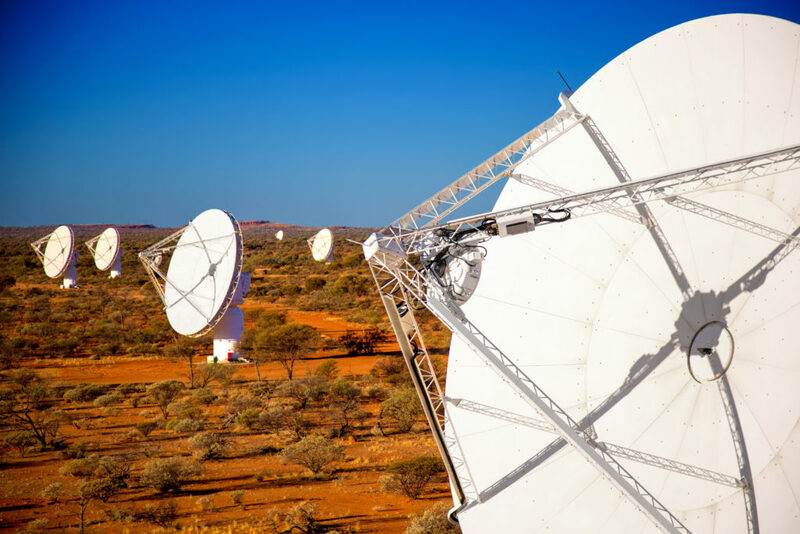 It’s also a future site for the Square Kilometre Array (SKA) – the world’s largest and most ambitious international radio astronomy project ever realised. 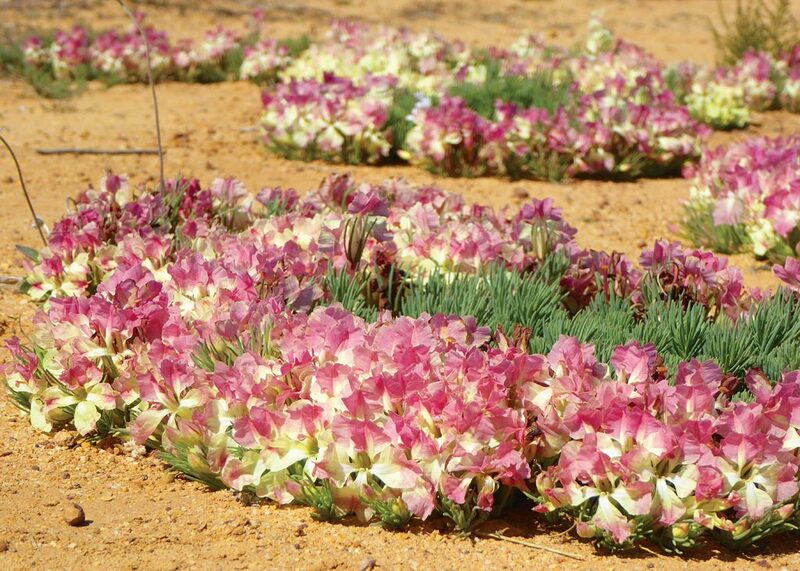 Lechenaultia macrantha or Wreath Flower found near the MRO. 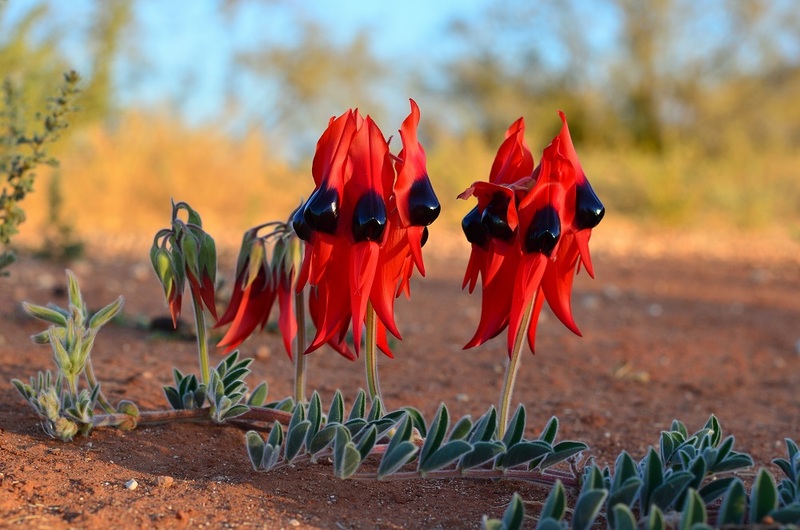 Swainsona formosa or Sturt’s Desert Pea found near the MRO. ASKAP will capture radio images of the sky in more detail and faster than ever before. Wajarri Yamatji Elder and Australian TV personality Ernie Dingo was passing by recently, so we invited him in for a tour and a chat about the Murchison Radio-astronomy Observatory (MRO), situated on his ancestral and beloved homeland. Telescopes at the MRO will provide astronomers with the capability to answer fundamental questions about our Universe, such as the nature of cosmic magnetism and the evolution and formation of galaxies. Ernie is excited by the potential the facility brings to the local and global community; “It will inspire young people and further this part of the world. The antennas have a relatively small impact on the land, which is good from my point of view,” he said. 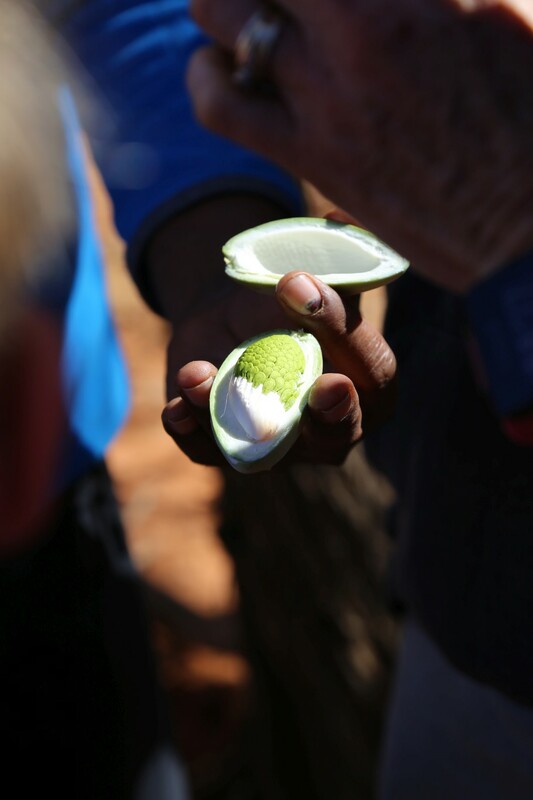 Many partners have come together to create an Indigenous Land Use Agreement (ILUA) for the MRO to operate, and to ensure educational, social and economic benefits flow to the Wajarri Yamatji. The ILUA includes a cadetship program that runs for the life of the telescopes and our staff visit the remote Pia Community School as part of a mentoring program. We’ve co-created resources on Wajarri culture and the MRO. A new ILUA for the SKA will expand on these benefits. ASKAP’s 36 individual dish antennas spread out across a six kilometre area. In contrast to the rustic colours of the Australian outback, they’re bright white but Ernie says they fit in the landscape, like part of the furniture! “This is wildflower country and they’re like beautiful giant white wildflowers growing up out of the earth”. On his visit Ernie finds bushfood growing under the telescope and although he recognises the site is generally closed to visitors for radio quiet purposes. 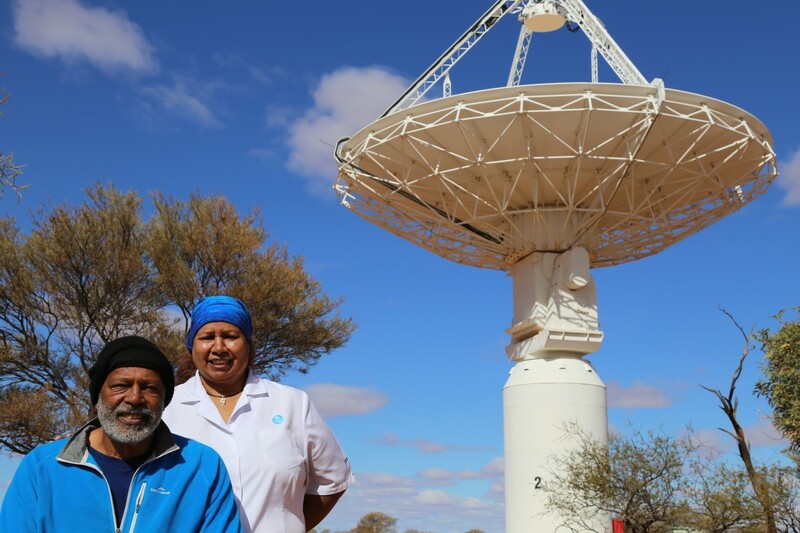 CSIRO acknowledges the Wajarri Yamatji as the traditional custodians of the MRO site and gratefully acknowledge the important role the Wajarri Yamatji have played in enabling Australia to secure the rights to co-host the SKA. Read more about our world-leading ASKAP radio telescope. You guys seem to be doing very exciting things in the field of radio astronomy, more power to you. I’m also very happy that you are working together with the local peoples and that they are happy to host such an impressive facility. The ASKAP is an astonishing thing and how lucky are we to have it in Australia – CSIRO rocks! !